What’s the newest slant on holiday sewing? Singer Sewing Centers advertisement, 1960. Like the other ads in the series (see my earlier post here), the ad plays with scale while serving up some mid-century aspirational marketing. 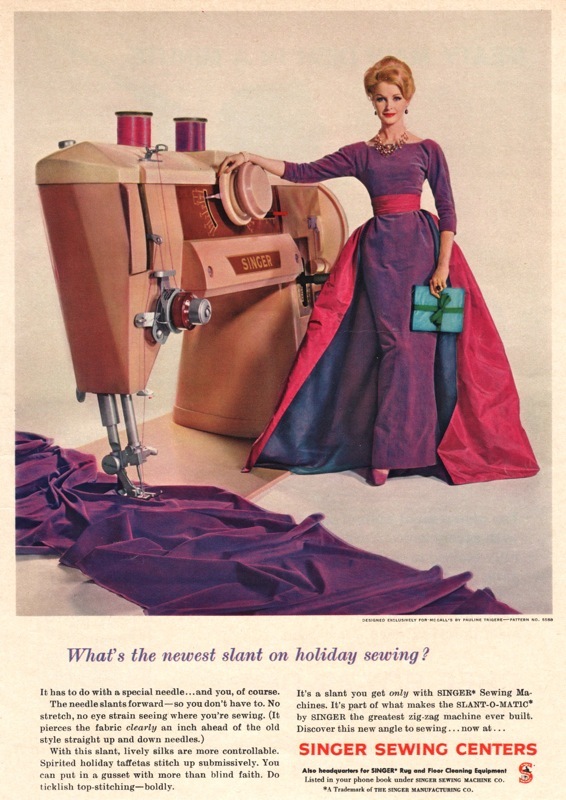 The copy promotes the Slant-O-Matic’s slanted needle and how it helps dressmakers sew special fabrics into submission. 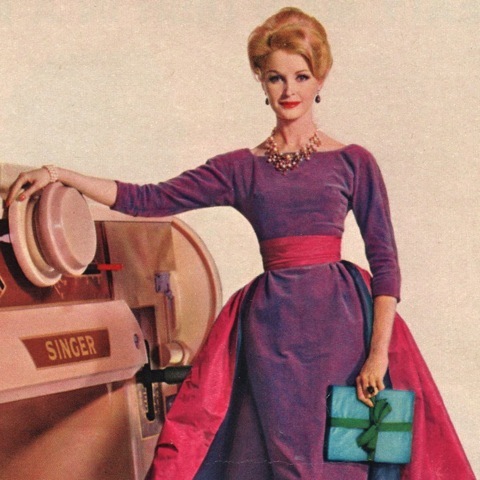 The model is Sara Thom; her evening gown in grape and fuchsia taffeta is a McCall’s exclusive by Pauline Trigère, McCall’s 5588. McCall’s 5588 by Pauline Trigère. Detail, Singer Sewing Centers ad, 1960.